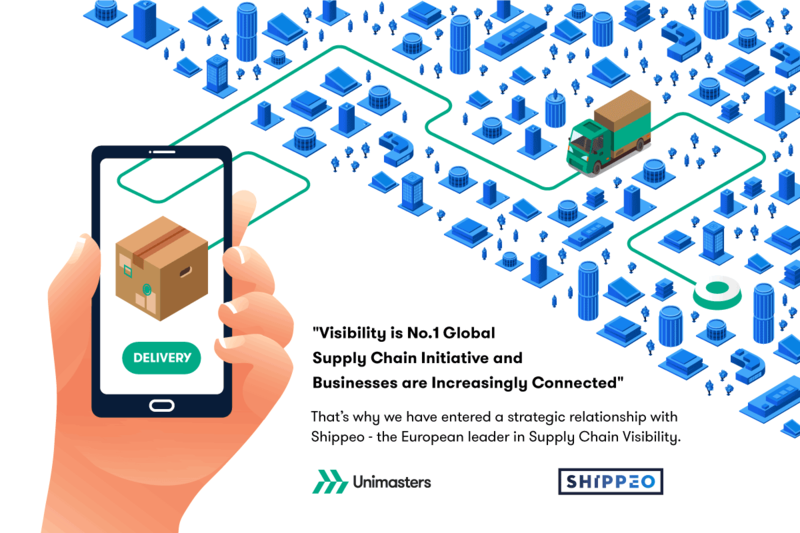 SHIPPEO, the European leader in Supply Chain Visibility, has partnered with the supply chain management company Unimasters Logistics to bring predictive and real-time visibility to their deliveries. Unimasters is an advanced supply chain management company with regional infrastructure and global reach through first-class partners in 5 continents. The company provides innovative “one-stop-shop” solutions to complex logistics problems. In the last years, the company has worked to deliver real-time visibility, which is the greatest challenge in supply chain and logistics today. After researching several technological options, Unimasters found Shippeo to be the most advanced supply chain visibility solution for road freight deliveries. Unimasters Logistics Plc is a dynamic, advanced supply chain management company, headquartered in Bulgaria with fully owned subsidiaries in Romania and Hungary. It specialises in delivering a wide range of customer-friendly, innovative, advanced phygital solutions in the field of transportation, freight management, contract logistics and 3PL/4PL services.